Canada is following a familiar pattern. Weary of the ruling party, voters are getting behind an “anyone but Harper” movement that has them thinking of voting strategically for either the NDP or Liberal candidate that has the best chance of winning. The result is a lot of second-guessing. In vote-rich Ontario, it has brought a recent bump for the Liberals, Canada’s erstwhile "natural governing party”. Historically, the Liberals have been favoured as the party to which otherwise Conservative and NDP voters might bail. But this time it’s different. There are three parties, not two. The Liberals are campaigning on deficits, and the NDP has rushed to the middle-ground, promising balanced budgets. Suddenly, voters can’t flick the switch so easily. The NDP is running a strong national campaign, and looks to sweep Quebec and do well in BC, making a Liberal minority, let alone a majority, difficult to achieve. But the NDP is in third place in Ontario, the biggest prize, which is slowly turning from blue to red. The Liberals are also strong in the Atlantic provinces. That said, they are trailing the NDP nationally, with polls showing that Mulcair is perceived as preferable to both Trudeau and Harper for the top job. Peterborough-Kawartha has been redistricted, but it is still a bell-weather riding in which the federal government has a minimal role. We tend to vote with national trends, then go back to sleep. Our former MP, Dean Del Mastro, accomplished little other than costing the taxpayers a whack of dough for an expensive trial that ended with him getting thrown in jail for election fraud. His big push when he was first elected (if anyone cares to remember), was to return train service to Peterborough. The hope was that the “Flaherty Flier” would wind its way through Conservative ridings in the GTA and magically arrive in Peterborough. That, of course, never happened. Then there was Del Mastro’s bungled approach to the development on Little Lake, which was soundly rejected in a referendum, thus sabotaging the City’s long-term planning process. One thing Del Mastro did do well, when not embarrassing himself as Stephen Harper’s barking lapdog, was to provide service to his constituents – passports, information on access to government programs, that kind of thing. The Conservative Economic Action Plan, brought in after finance minister Jim Flaherty woke up to the global financial crisis on 2008, resulted in a retro-fit of Market Hall. That was a good move, though the only time anyone ever saw Del Mastro at the Hall was for photo ops. 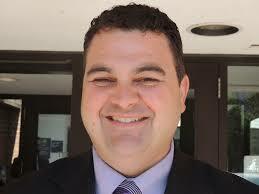 Now we have three legitimate candidates for Del Mastro’s vacated seat. Maryam Monsef, after running a strong campaign for mayor last year, is back as a candidate for the Liberals. Dave Nickle, a political veteran, is standing for the NDP. And local businessman Michael Skinner, who has an impressive resume as an entrepreneur, is throwing his hat in the ring for the Conservatives. All three candidates are also running on the strengths (and weaknesses) of their leaders. Their real power will come as a vote in the House of Commons to support a party that, with their presence, could form a government. In a tight three-way race, the voters in Peterborough-Kawartha are acutely aware that they are also voting for a Prime Minister. The wrong choice could result representation in parliament (for all that’s worth), but not one in government. Locally, if the “anyone but Harper” vote splits, Mr. Skinner will easily win himself a seat, and help Stephen Harper retain power. That may make some people deeply unhappy, but whatever the outcome, it must be admitted that Mr. Skinner would be a far better representative that Del Mastro ever was.